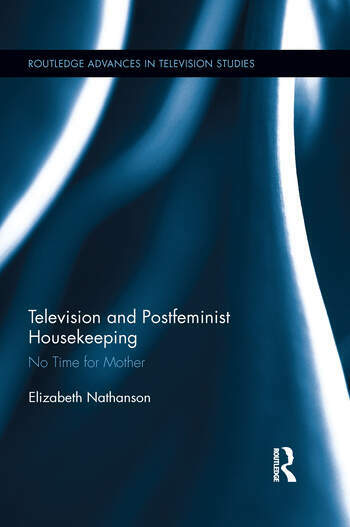 In this book, Nathanson examines how contemporary American television and associated digital media depict women’s everyday lives as homemakers, career women, and mothers. Her focus on American popular culture from the 1990s through the present reveals two extremes: narratives about women who cannot keep house and narratives about women who only keep house. Nathanson looks specifically at the issue of time in this context and argues that the media constructs panics about domestic time scarcity while at the same time offering solutions for those very panics. Analyzing TV programs such as How Clean is Your House, Up All Night, and Supernanny, she finds that media’s portrayals of women’s time is crucial to understanding definitions of femininity, women’s labor, and leisure in the postfeminist context. Elizabeth Nathanson is Assistant Professor in the Department of Media and Communication at Muhlenberg College, USA.